August is almost upon us. 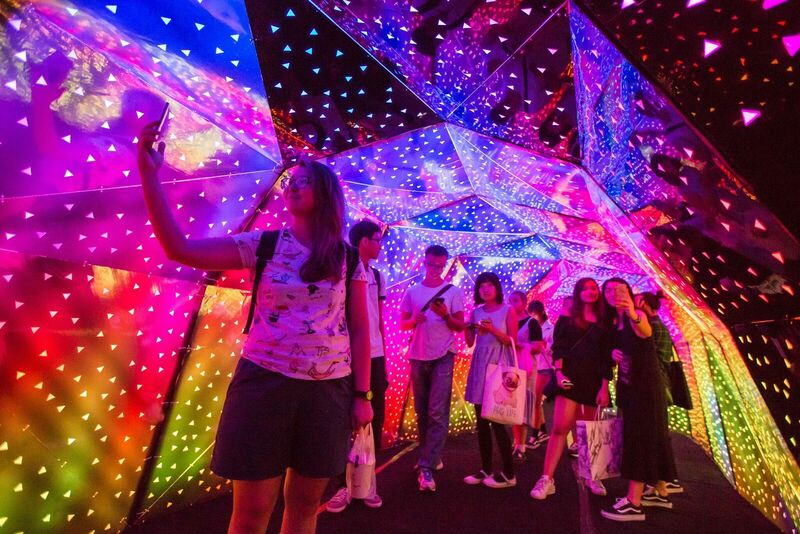 Other than National Day and a whole bunch of Durian, Nasi Lemak, and locally-inspired food to try, there’s also the annual Singapore Night Festival! 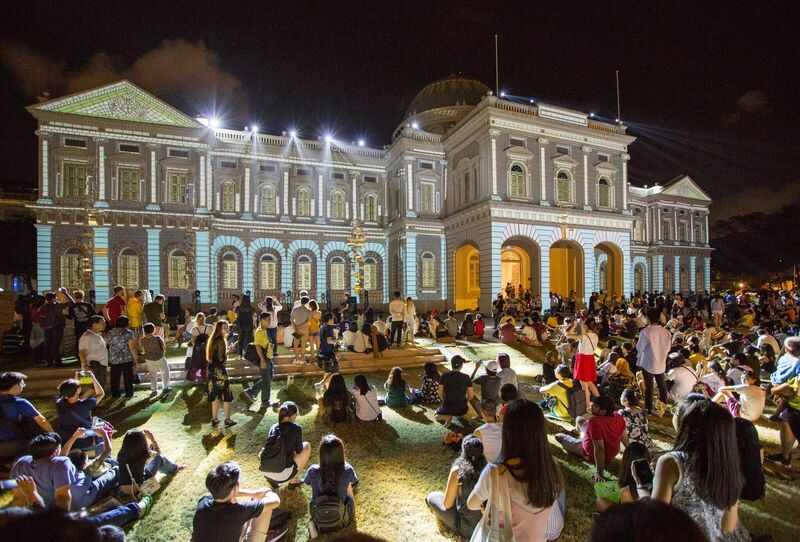 Happening from 17 to 25 August 2018, the Singapore Night Festival returns for its 11th edition, once again taking over the Bras Basah.Bugis precinct. Over a span of 9 days, the area transforms into a midsummer celebration, with dance performances and art installations for festival-goers. 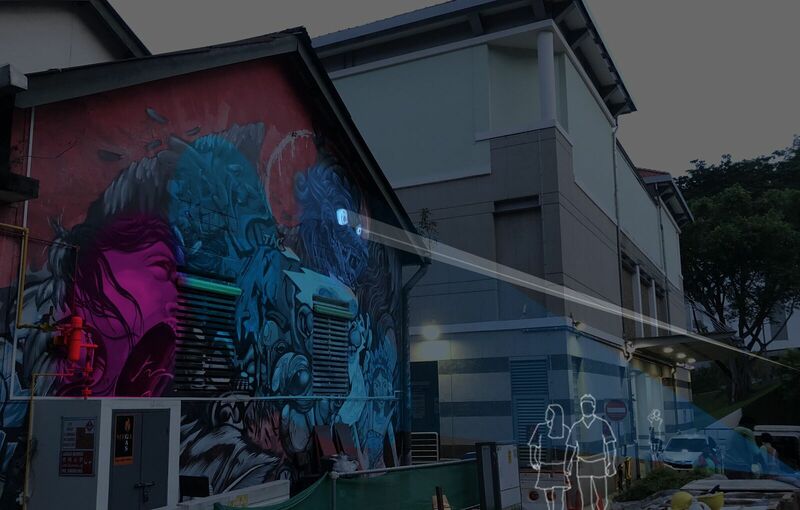 This year, the festival kicks off with Night Lights, which will feature 16 light installations by both local and international artists peppered around the Arts and Heritage district. Festival-goers can also revel in the showcase of 27 performances across various different art disciplines from 23 to 25 August 2018. As with the previous years, there will also be food and beverage options and artisan crafts on sale. This year’s festival will also feature unique collaborations such as the performance by Hope Technik and local jazz dance troupe EV Dance. The performance, named Let there be ____ will see the dancers donning and performing with the ‘Audra Exoskeleton’ – an exo-suit created by Hope Technik to assist workers in heavy lifting. The Leap of Faith by Teng Ka Wei is a honeycomb-inspired installation that lights up with words of encouragement when visitors interact with it. 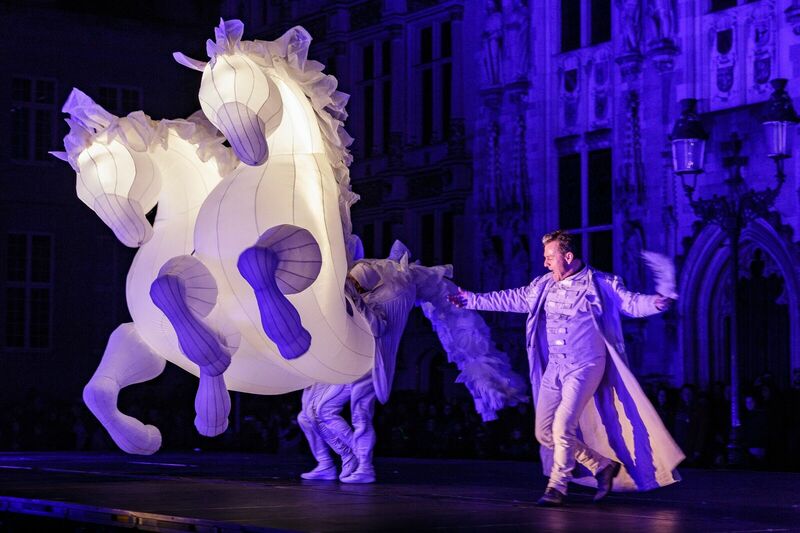 The World of WearableArt is an internationally-renowned New Zealand-based design competition, and this year it’s partnering with the Singapore Night Festival for the first time. They will be displaying 8 of the competition’s past intriguing creations. 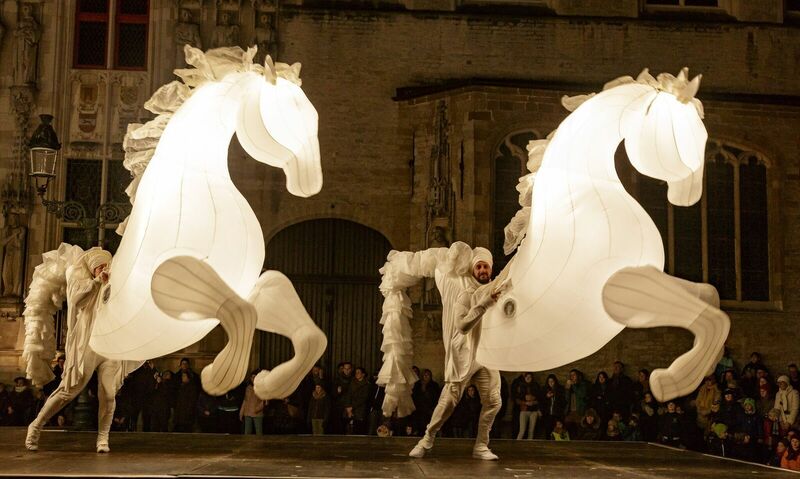 That’s not all, this year, if you explore around the festival grounds, you’ll find numerous unexpected surprise performances, such as the FierS à Cheval (Proud Horses), a roving act featuring large luminous horses dancing and strutting around the precinct, by French theatre troupe, Company Quidams!. 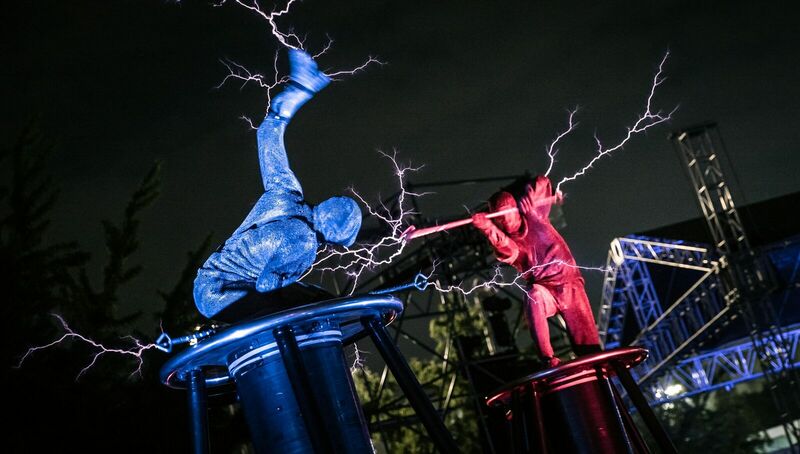 If you liked the Tesla Coil show at the Science Centre when you were a kid, you’ll love this next performance. 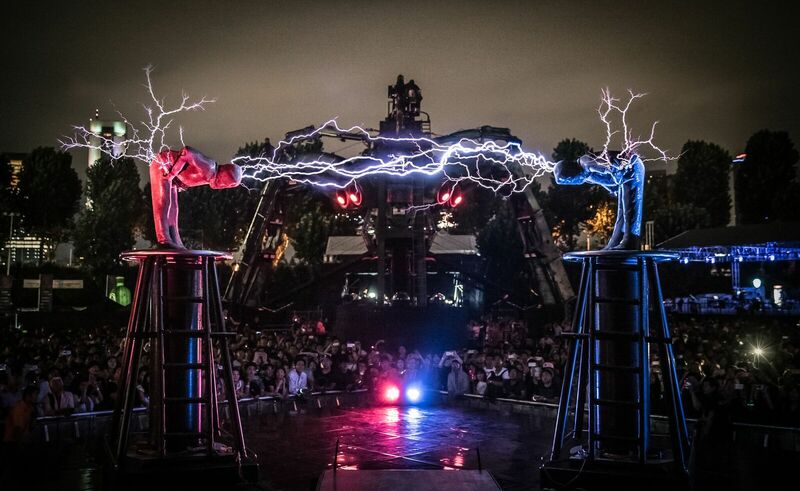 In a stunning combination of physics and art, UK troupe Lords of Lightning’s performance, The Duel, will see nearly four million volts of electricity hurled into the air as thunderbolts. 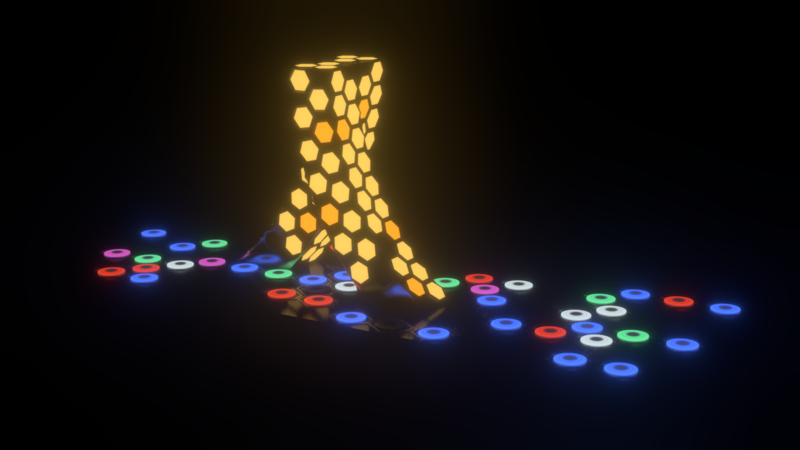 Pikachu got nothing on them. 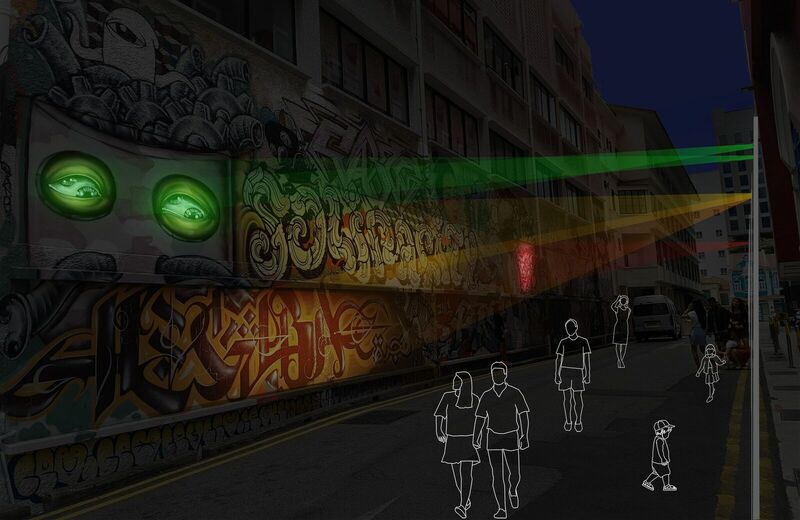 The back alleys of Armenian Street will also be transformed thanks to the Graffiti Alive installation which uses lights and motion sensors to bring street art to life! 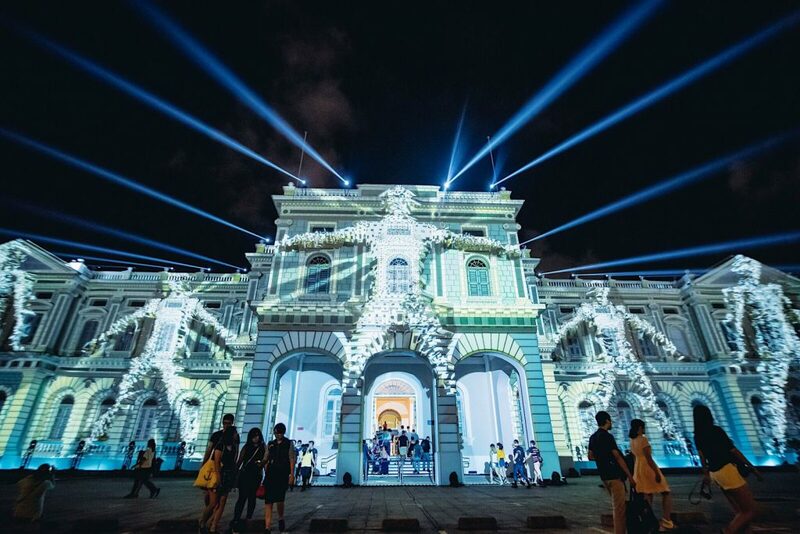 From 17 to 25 August 2018 at the Bras Basah.Bugis precinct, the Singapore Night Festival 2018 promises to be the hottest event in town.